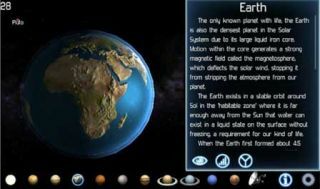 Pros: Tons of info about solar bodies combined with the amazing interactive graphics make for serious engagement. Cons: Kids without an interest in space may not appreciate the detail or want to explore on their own. Bottom Line: Because it's so well-produced, it should fascinate any kid even remotely interested in space.